The College's new academic building, Myron Boon Hall, opened in time to accommodate the influx of new students. 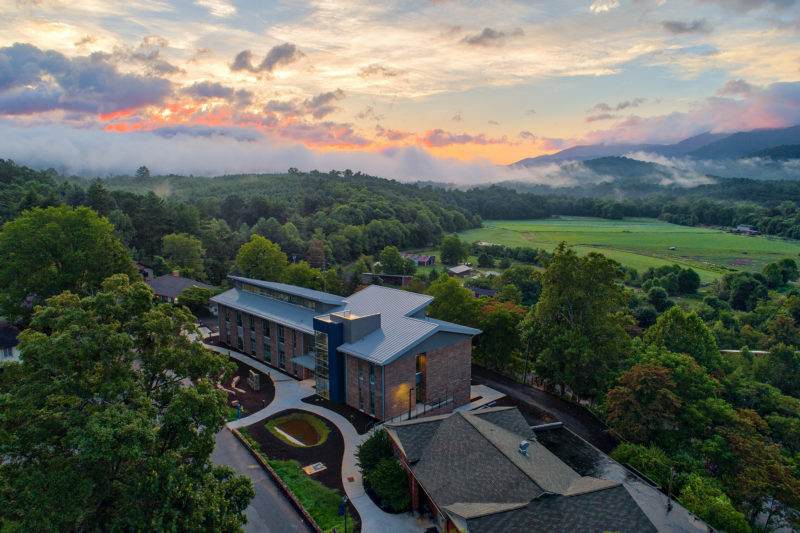 College enrollment numbers have dwindled nationally since 2011, but one small college in North Carolina’s mountains has found a way to reverse that trend in a big way. Warren Wilson College’s new North Carolina Free Tuition Plan guarantees a tuition-free college education to every eligible incoming North Carolina undergraduate student. The plan helped bring in not only the largest incoming freshman class in the college’s history, but also the largest number of new North Carolina first-year students the college has had for at least 20 years. The fall 2018 group of new students broke multiple records for Warren Wilson College. The college welcomed 302 new students this year, and 250 of those were first-time students, the largest freshman class in the college’s history and a 71 percent increase over last year’s freshman class. Of the new freshmen, 104 were from North Carolina, a 246 percent increase over last year’s first-year North Carolina freshman numbers. Official census numbers are determined on the tenth day of class. Given that national enrollment numbers for colleges and universities have decreased steadily every year since 2011 according to the National Student Clearinghouse and The Chronicle of Higher Education, this record-breaking incoming freshman class size for Warren Wilson is particularly surprising. Interested in attending Warren Wilson? Get more information! Find out more about the NC Free Tuition plan.